One of my New Years resolutions was to get better at drinking. I can mix a good Cuba Libre or Dark and Stormy, but not much more. So I bought the Cocktail Codex. Most of the cocktail books I see are far too simple to need to keep on your shelf, or far too complex to even look at if you're not already a mixologist. This book is accessible enough for a novice to pick up, but deep enough to keep around after you've settled in behind your home bar. It's also a great way to explore drinks. Each one of the big six cocktails branches into a family tree of variations that are sometimes close and obvious, or other times more distant and seemingly only loosely related. The raw formulas that start each chapter really let you feel comfortable experimenting with ingredients and finding your own balance. And the recipes in the book let you actually taste the alcohol, instead of covering up the flavor with sugar. And the thing is gorgeous. Did I mention that? Because it damn well is. It's perfect for anyone who enjoys a good mixed drink at home. ALEX DAY and DAVID KAPLAN are the co-owners of the Los Angeles-based Proprietors LLC, a fullservice hospitality company (Death & Co, Nitecap, Walker Inn, Honeycut, the Normandie Club, and more). NICK FAUCHALD is a Brooklyn-based writer, editor, and publisher of print and digital products. "Learn the template, and any cocktail you can think of is within reach." "A must for amateur and pro mixologists alike." "This is a book that will inspire the next generation of bartenders." 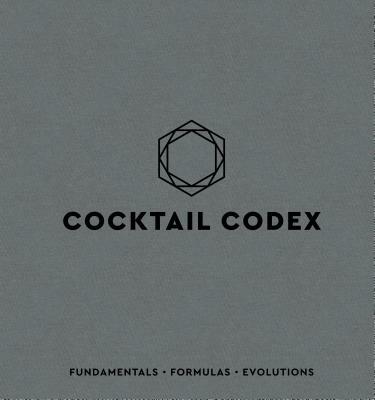 "A timeless reference for anyone interested in cocktails." "A fascinating, in-depth look at one of the best bars out there." "An instant classic for craft cocktail enthusiasts and professionals alike."